Since the launch of the YES network in 2010, YTL Communications has been championing the transformative power of Internet to close the digital divide between rural and urban communities, and to create equal opportunities for people across the country to connect to the world and to improve their lives. Driven by its determination to use the network to drive positive change for the nation, YTL Communications worked closely with the Ministry of Education to help the country produce a 21st century ready workforce. Under the 1BestariNet programme, YTL Communications has successfully equipped all primary and secondary national schools across Malaysia with quality Internet access and empowered 10 million students, teachers and parents with a cloud-based learning platform. This national transformation has attracted worldwide attention from Google, a visit by the Minister of Education of Finland, and has put Malaysia on the map for its positive and innovative impact on education transformation at a country level. In a win for YES, and a win for Malaysians, OpenSignal has named YTL Communications’ 4G mobile brand as the provider with the fastest overall download speed and the best LTE signal availability in the country, according to OpenSignal’s latest ‘State of Mobile Networks: Malaysia’ report (PDF here). A new contender in OpenSignal’s industry reports, YES not only tops the overall download speed, but also outshines the rest of the local telco operators in providing the best 4G LTE signal availability. Accordingly to OpenSignal, YES customers are able to connect to 4G LTE signal at a whopping 93.2% of the time — ahead of its nearest competitor by 13%. YES’s high score surpasses the country’s other four main operators that provided LTE signal less than 74% of the time. In terms of overall download speed, YES is the clear winner where its customers are able to enjoy average download speed of 19.3Mbps, ahead of all other local operators and the global average 4G LTE download speed of 16.6Mbps, according to OpenSignal’s latest State of LTE report. 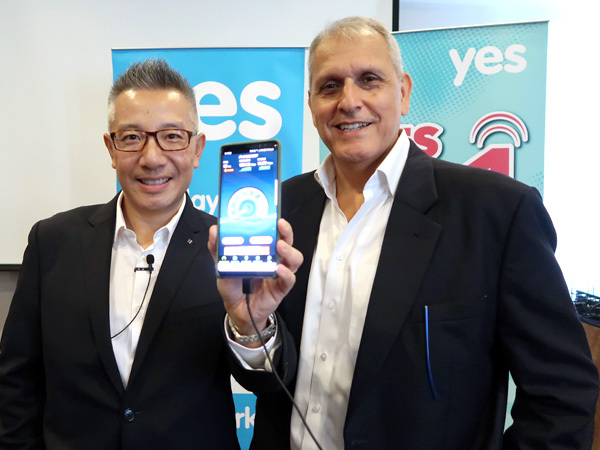 Even with YES’ generous all-day; anywhere 4G data tonnage and industry-leading price plans that fully encourage greater data utilization amongst users, YES’ high capacity network is still able to deliver the highest overall download speed in Malaysia. Despite having launched its YES 4G LTE service and VoLTE (Voice over LTE) nationally just 15 months ago, this win from OpenSignal affirms YTL Communications’ 4G leadership, its commitment and being a brand that cares for all Malaysians while providing the best 4G Internet as level playing field for people throughout Malaysia. “At YES, we strive to give our customers an amazing experience at all times, whether they are surfing at world-class 4G LTE speed, or making crystal clear VoLTE calls. For our network to be recognised by OpenSignal is a testimony to our vision and hard work towards building Malaysia’s largest all-4G network to bring about better Internet for all. This acknowledgement is not only rewarding for us, but also comes at a fitting time as Malaysians are increasingly relying on mobile Internet to live, work, learn and play. Availability of 4G signal and fast download speed will be the key differentiators going forward,” said Wing K Lee, CEO of YTL Communications. The OpenSignal recognition comes after YES bagged the “Most Innovative Voice Service” from Telecom Asia Awards 2017, for being the first in Malaysia to provide nationwide VoLTE service and demonstrating outstanding leadership in 4G LTE technology innovation in the highly competitive industry. More than one billion data points were crowdsourced from 75,288 real world smartphone users in Malaysia to create OpenSignal’s October country report, making it one of the most unbiased and authoritative independent network quality benchmarks to date. In this report, only YES and one other Malaysian operator were given the rarefied recognition by OpenSignal. For more information, please visit www.yes.my.